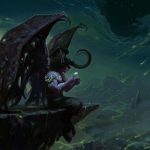 The concepts in this post will be fairly esoteric if you are not familiar with many of the game features in World of Warcraft. Also, this will likely be a bit of a soapbox as I’ve grown weary of the emphasis put on Mythic+ dungeons. 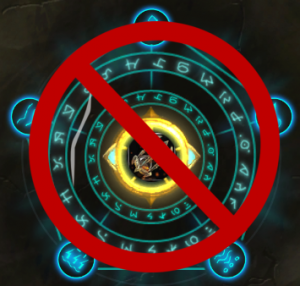 Sorry Blizzard, I just don’t care for the Mythic+ system, in fact I think Mythic+ dungeons are obnoxious. The original purpose for the them is to give players an end-game option other than raiding. 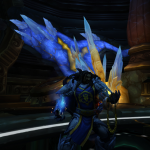 The fact that spec recommendations are usually different depending on whether you are in a raid versus a Mythic+ dungeon is evidence that these two are mutually exclusive. Just because you do one, doesn’t mean you should do the other. 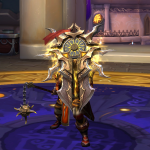 As someone who raids heroic content 3-6 hours a week, I don’t find it interesting to spend another 3+ hours suffering through multiple Mythic+ dungeons. Perhaps I have a bit of PTSD from a 6-hour trip into Shadow Labs way back in Burning Crusade, but a dungeon shouldn’t take more than 20-30 minutes. If a dungeon is taking you more than 30-45 minutes, someone is doing something wrong and its time to quit. I do like doing dungeons, when I have time to do one. I especially like it when there is a dungeon that has specific lore significance (ex: Black Rook Hold, Scholomance, Culling of Stratholme, etc). This is especially appealing if there is a quest that continues a particularly interesting story line. Other than adding the Mythic mechanic, my only other criticism for dungeons lately is acting as a gate to furthering professions. As I’ve mentioned before, during Legion, its ridiculous to have to complete an extra boss in a dungeon to further your alchemy profession. This seems to be more tame in Battle for Azeroth, but I also haven’t leveled all the professions, yet. 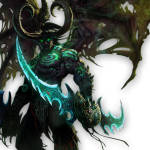 How long a dungeon takes to complete, even a Mythic+, varies significantly on the composition and competency of your group. So let’s get to the real reason I think Mythic+ dungeons are obnoxious; affixes and keystones. What are Affixes? They are special twists on mob and dungeon mechanics to create a new challenge and adds new levels of complexity. Only three affixes are randomly active in a given week. You can see the list of possible affixes here. I’m sure for those players that enjoy Mythic+ dungeons enjoy the variety affixes bring to a dungeon; and I’m happy that works for them. Personally I think affixes create more stress and make dungeons less appealing. I could even feel less annoyed by the hoops you need to jump through for getting appropriate gear if there weren’t affixes to deal with as well. So that brings me to keystones (and, ultimately, gear). In order to enter any Mythic+ dungeon someone in your group needs a keystone. The only way to acquire said keystone is to complete a Mythic 0 dungeon. Each time you complete a Mythic+ dungeon you get another keystone, for a random dungeon, at an increased level. This is where things get especially gross if you are hunting for better gear. The higher your gear score is, the more Mythic+ dungeons you have to do to get gear that’s worth a damn. For example, my gear score on my raid toon is 360. If I want ilevel 360 gear to drop I have to get a keystone for a Mythic+7 or higher. Which means I have to do at least 2 or 3 dungeons before I even get the appropriate keystone, then I have to complete that dungeon. You also only have a week to do this (as all Mythic+ dungeons and keystones reset every Tuesday). Of course what gear you get is completely random so there is a chance, that after enduring all of that, you could get a piece that you can’t even use. As your gear score increases, so do the number of Mythic+ dungeons you have to complete within a week. THAT IS A BIG FAT NOPE! I won’t do that. I refuse. All of that work for very little gain just isn’t my idea of fun. So, to that end, I won’t subject myself to that cruelty. I would rather asphyxiate myself with barbed wire (i.e. I’d rather PVP). By the way, if you do want to know more about Mythic+ dungeons, because they do sound appealing to you, follow this Wowhead link.